Salento, a sleepy little town in the emerald green Los Nevados mountain range, is one of the most popular stops on the gringo trail. With amazing scenery, kind locals, unique activities and delicious food this town has it all! Did I mention this place is also a real life cowboy town? So cool! Most travelers arrive from either Bogota or Medellin. Whilst there is one direct bus (at 9am) from Medellin it is in a squishy mini-van. As it’s an eight hour drive through extremely windy, sick inducing roads I do recommend catching a regular sized bus. Buses from both Medellin and Bogota (price is around 41,000 pesos) stop in Armenia and then you’ll have to transfer to a collectivo mini-van for the last thirty minutes to Salento (4000 pesos). 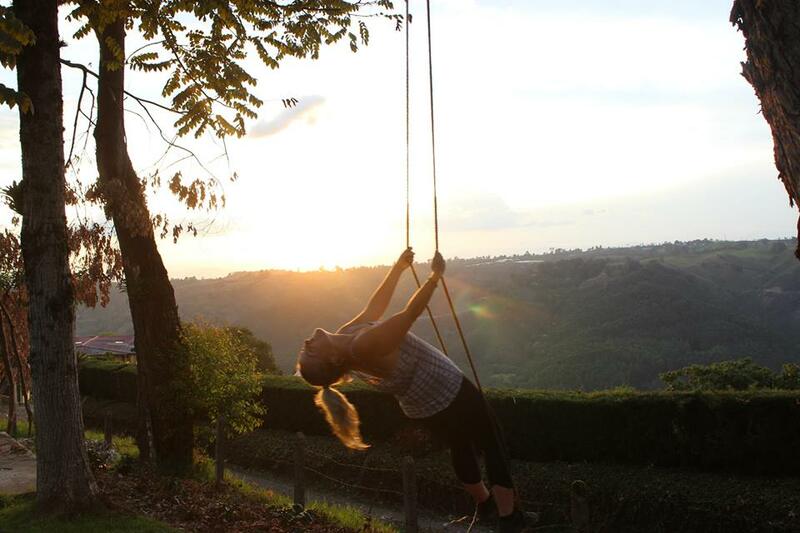 The most popular hostel in Salento is La Serrana, a 20 hectare eco-farm. Whilst it is a twenty minute walk out of town this place has a great vibe and everyone loves it so much they always extend their stay. The onsite restaurant serves delicious meals from their organic vegetable farm each week night (you can even purchase milk from their cows). It also boasts some pretty stunning views for a sunrise or a sunset! We also stayed two nights at Hostal El Zorzal in a private room. This place is closer to town but still boasts lovely views from the breakfast tables. The staff were extremely friendly and accommodating. If you are a couple looking for a quiet retreat I recommend this place too! I kept hearing about a little restaurant called Brunch, in particular their Peanut Butter Brownies. On our first night in Salento we stumbled across it and decided to give it a go… and ate there twice a day for the next four days. Honestly, this place is amazing! From the (huge) burgers, the ribs, the veggie lasagna and the milkshakes- everything on the menu is amazing! The owner is a very friendly American guy who will happily give you advice or information for the area and the servers have got to speak the best English in all of Colombia (I also heard them speaking an array of other languages, totally impressive). The walls are covered in writing from past travellers, which is really interesting, and it even has a mini cinema that you can use to chill out and watch a movie whilst you enjoy your food. It may not be traditional Colombian food but it’s some of the best food I had in all of Colombia. The portions are huge, the prices are reasonable and everything is delicious. 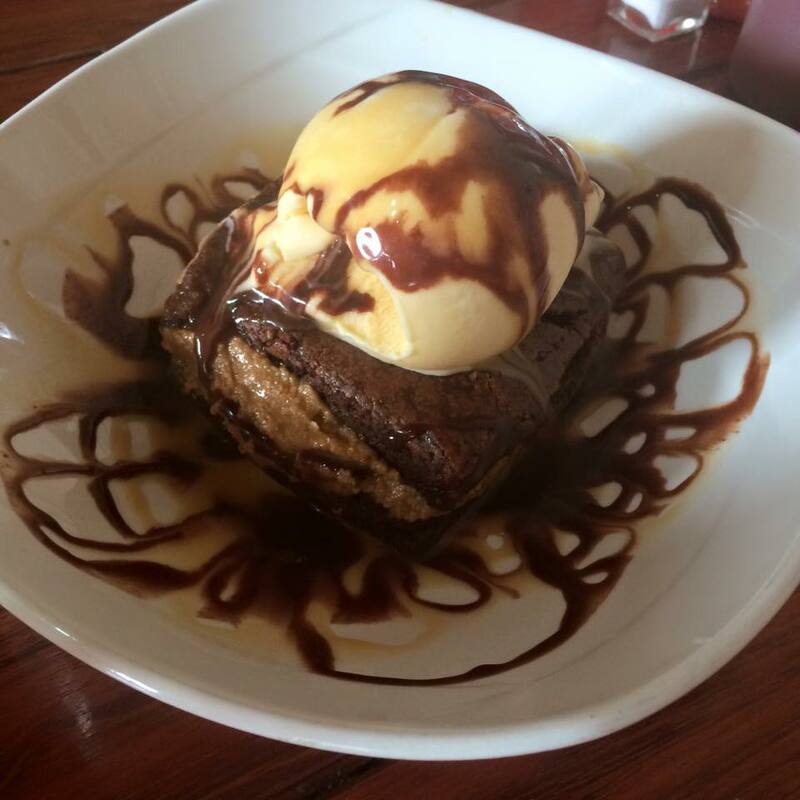 Do not leave Salento without trying the peanut butter brownie, oh my god! 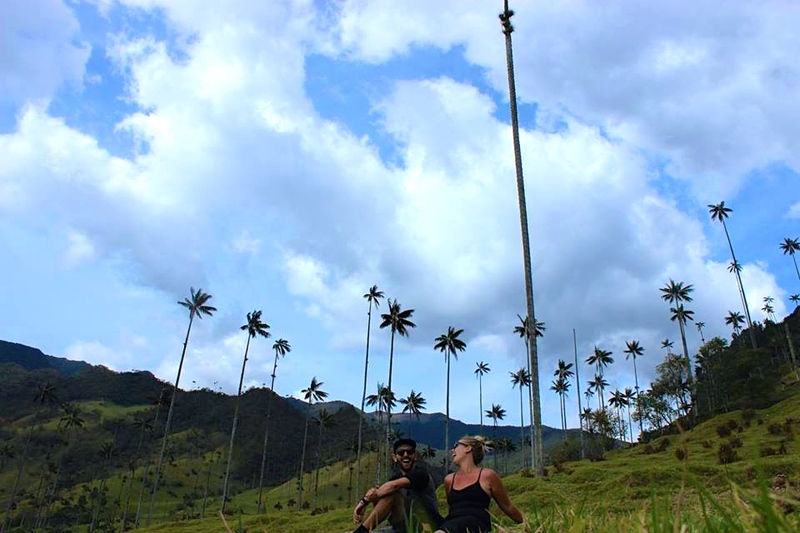 The main attraction in Salento is the famous Cocora Valley, known for having Quindo Wax Palms (Colombias national tree) aka the tallest Palm Trees in the world. Most people hike the Acaime trail which leads you to a ‘reserve’ with hummingbirds and other wildlife. There is a 5000 peso fee for entry, which will get you a free drink. About 1km before you reach Acaime there will be a fork in the road with the other path leading you to La Montaña. If you don’t feel like seeing hummingbirds you should totally take the La Montaña route instead, it will cut off about an hour of hiking. Otherwise once you are finished at Acaime walk back the way you came and then take the La Montaña route. This path is very steep so be prepared for a steep hour long hike to the top of the mountain. Once you reach the house at the top the hardest part of your hike is over and the views of the valley below are pretty incredible. From there follow the road down to sit, rest and admire the Palm Trees before making your way back to the Jeeps for your return to Salento. A trip to Colombia wouldn’t be complete without visiting a coffee plantation and Salento is the perfect place to do this. With high altitudes and volcanic soil Salento is the perfect place to grow coffee. There are multiple tours to choose from. We did ours through The Plantation House (20,000 pesos) as I had read about it a few times. Afterwards, however, I kept hearing great things about Ocaso Cafe Tours, which is half the price (10,000 pesos) and has great reviews also. These tours are really fascinating, I’ve never appreciated how much effort goes into a cup of coffee before. 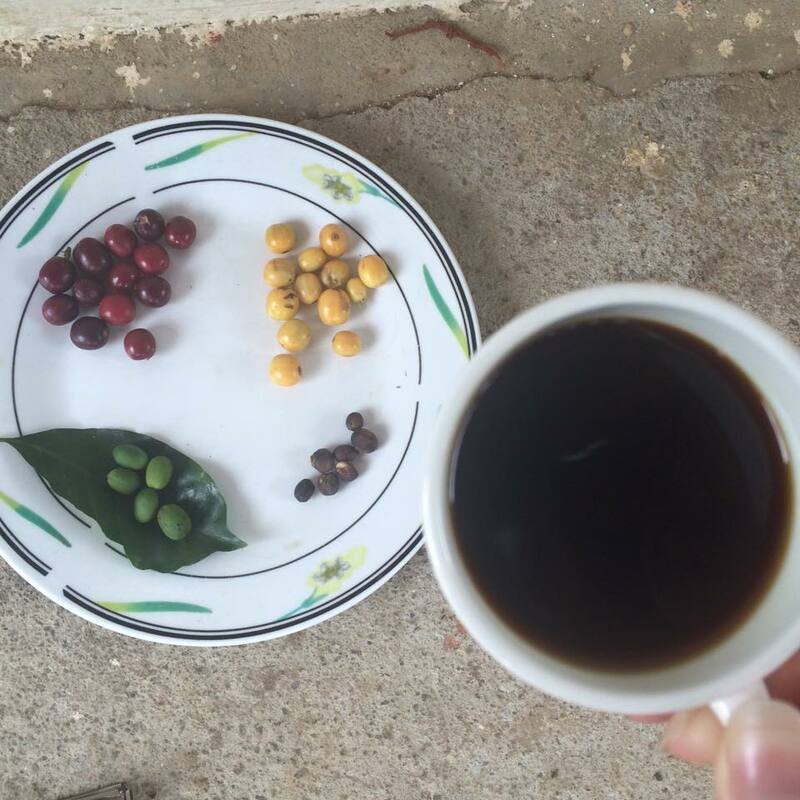 It takes almost three years for a farm to produce their first coffee beans. How crazy is that?! You get to see the whole process of coffee making from the beans on the plants to the cup of fresh brew you get to drink at the end. A great way to spend a few hours indeed! 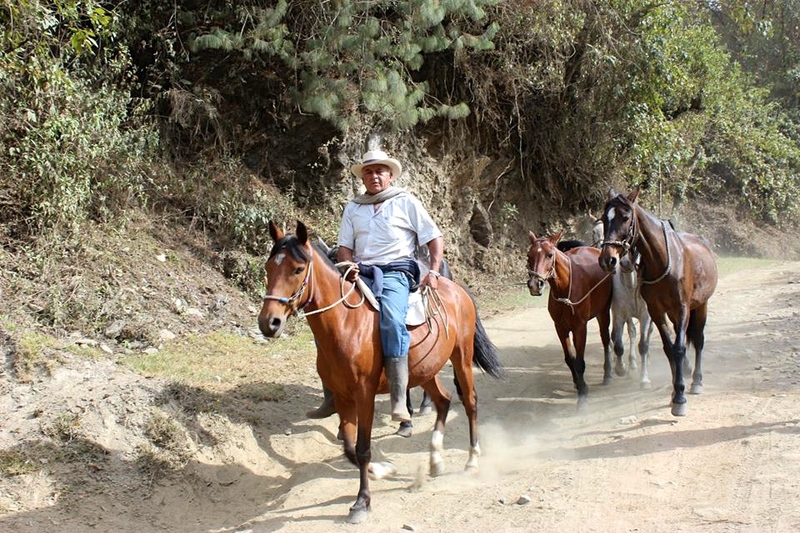 It would be crazy to not go horse riding when you are in Salento, a real life cowboy town. At 30,000 pesos it’s also great value. Our guide picked us up at Brunch (the owner of Brunch organised this tour for us) and lead us through dirt paths, valleys, rivers and mountains to a beautiful and secluded waterfall where you are free to take a refreshing dip. We requested helmets but the guide didn’t bring them for us (safety isn’t really a concern in Colombia). It was such a fun way to spend a few hours and a really unique experience for your time in Colombia and South America. Tejo is Colombias National Sport and a very popular past time in Salento. In a very short (and terribly described) nutshell, Tejo is a game where you throw a metal disc at a wall of clay filled with pockets of gunpowder. The objective is to hit the pockets and make the gunpowder explode. Their is a local bar you can play at (ask at Brunch for directions) but you are expected to drink regularly during your game. You can also play at a restaurant/bar called BetaTown which I recommend. You pay 2000 pesos to play but you aren’t expected to drink at all and they will actually teach you to play. They also have great food and a lovely family running it. 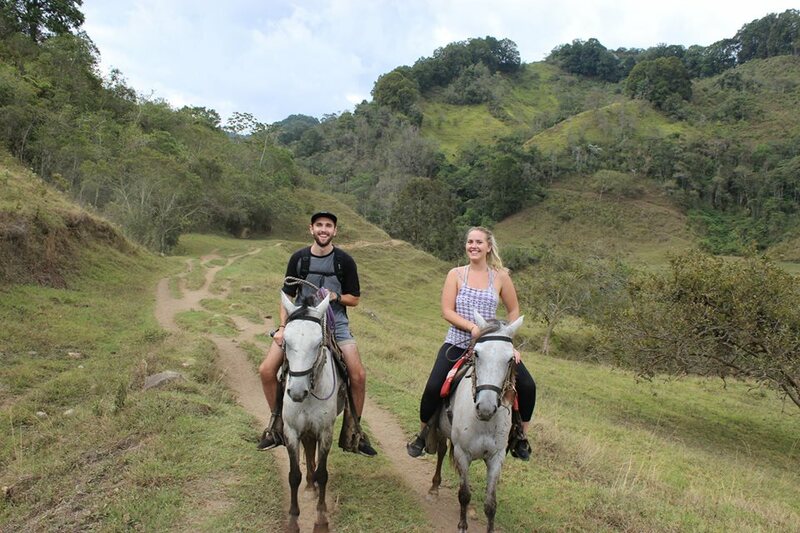 Salento was a highlight on our Colombia trip and I know it will be for you too! Over to you. Does Salento sound like somewhere you’d like to visit?